This crochet baby blanket pattern features an elegant reversible mosaic stitch design. Approx 32 x 38" [81.5 x 96.5 cm]. 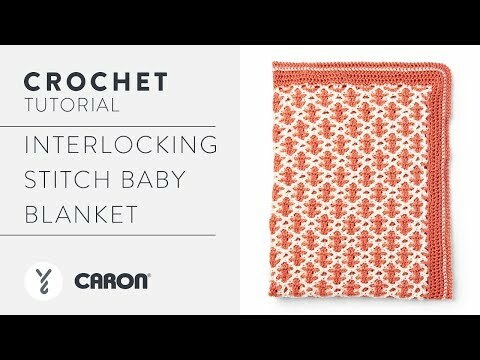 Learn how to crochet the mosaic stitch and make an heirloom-worthy baby blanket. Made in Caron Simply Soft yarn, parents will appreciate that this blanket is machine washable and dryable! The unique reversible stitch design drapes well, too.